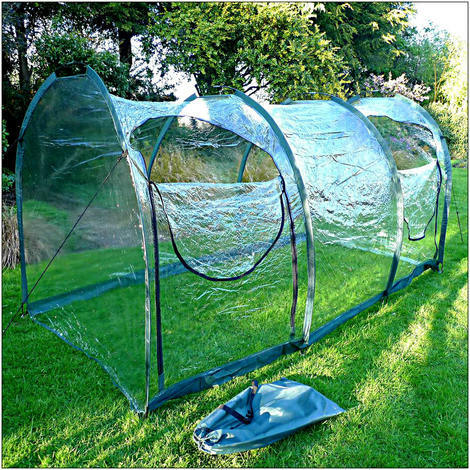 High quality quick assembly poly tunnel for warming soil and ripening crops. With an ultra high grade poly cover and strong, flexible carbon fibre rods that thread through sewn tabs, this tunnel maintains it's shape and tension – unlike traditional hoop and wire cloches which can distort over time. Large zipped entrances for easy access and guy ropes at either end for added stability in windy weather.